There are many strategies and tactics for generating potential customers. Hundreds of thousands of flashy ideas could puzzle even the most critical mind. Therefore, we analyzed gigabytes of information and tried to put together the basic methods and shorten the endless list to five points. All these tips are proven, so you can trust what you’re reading below. Meredith Hill says, “ When you speak to everyone, you speak to no one”. You can find out a beautiful website with even more beautiful content, but stealing someone’s way of thinking hardly ever help you to get through to your client. Here you should be very careful. When thinking about the target customer, often a lot of business and agency owners began to focus on what they can do for the clients and give them nothing but big words found. In the hope to find the right synchrony with the client, sometimes entrepreneurs tend to emulate other well-known companies. And this is where they drop the ball entirely. 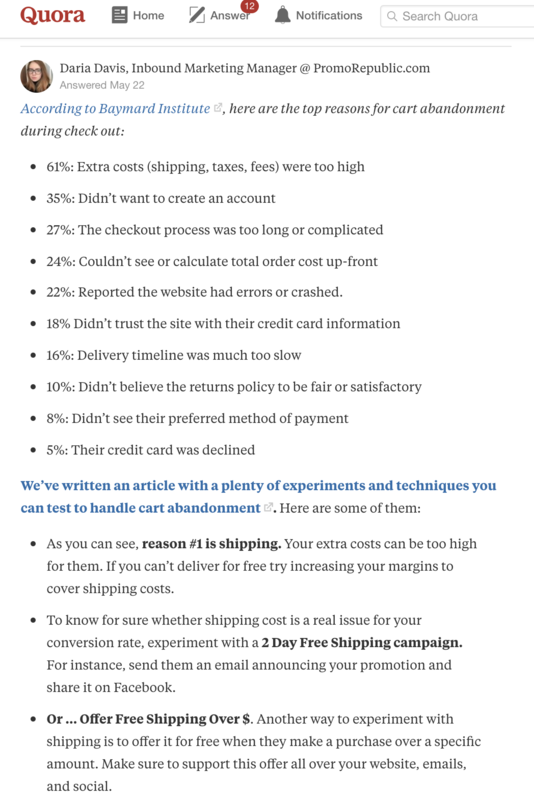 It happens because they believe they need more people on the website, but actually, they need to improve their conversion rate. Before you start doing any lead generation, any content marketing, identify your target customer. People only pay attention to the solution after they put attention to the problem. Your market should be based on helping them to find the problem they do have rather than trying to guess what’s making their hearts break apart. What makes you stand out of the similar services? Are good enough at what you’re promising? Once you’ve understood what their problem is, you should think of how to alleviate it. Address this in your bio and transmit the solution in your content using the simple sentences. Avoid complexity, dubious questions, and ellipsis. Surely, we all love the metaphorical way of speaking, and, there’s no doubt that the flourish language makes our hearts miss a bit, but that works only with fiction writing. It’s good for books and poetry. However, using stylistic means and devices to imbue the wording on your landing page won’t be relevant for lead generation. #2 Speak at industry-specific events. “Go onto meetup.com and find all the events relevant to your niche/events where your target customer will be attending. Apply to speak. Share something useful and of value in your talk, don’t pitch.”, says Dylan. You need to go into the world. Your business can only arise above the crowd if you put something of value into the world. Therefore, don’t miss the opportunity to participate in exhibitions or conferences all around the globe. 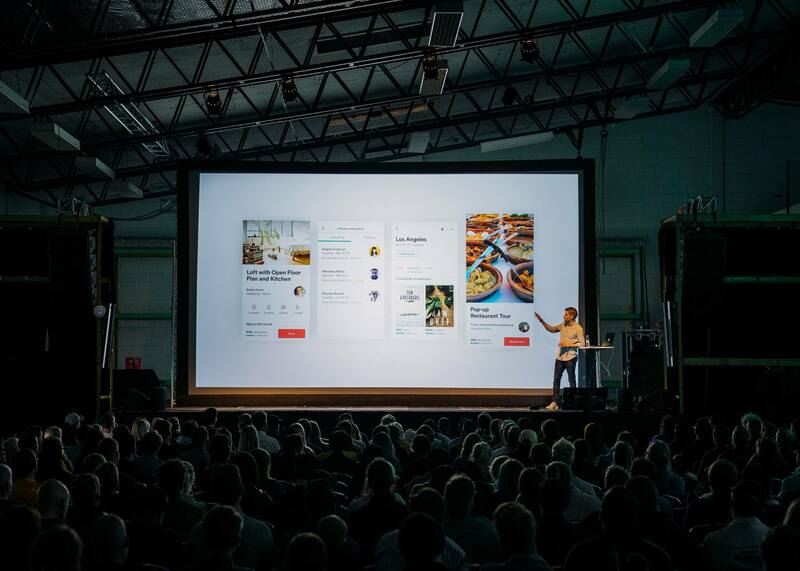 While speaking at big marketing conferences may be ineffective for small business due to a great number of competitors, industry-specific events will be a goldmine for you. If you want to get into a holy grail of networks, find out the conference and offer a keynote on a topic you’re the best in. All listeners and participants will quickly assume the level of your experience and will want to know you better. That’s what they call the perfect moment to hand out the business card. Not only you can talk to the best minds of world business, but also hand out business cards and tell how great the things you create. Building relationships is a hard task. Of course, it requires time and money. But it pays off. If you feel uncomfortable when you need to present yourself, engage in dialogue with unfamiliar people, do not worry. Many feel the same way, so relax and share your thoughts. A dog is a man’s best friend, diamonds are girls’ best friends. And referrals are the best friends of your business. This one is a super simple way of getting more potential leads. However, we often too proud or lazy to create a list of companies which could be emailed. 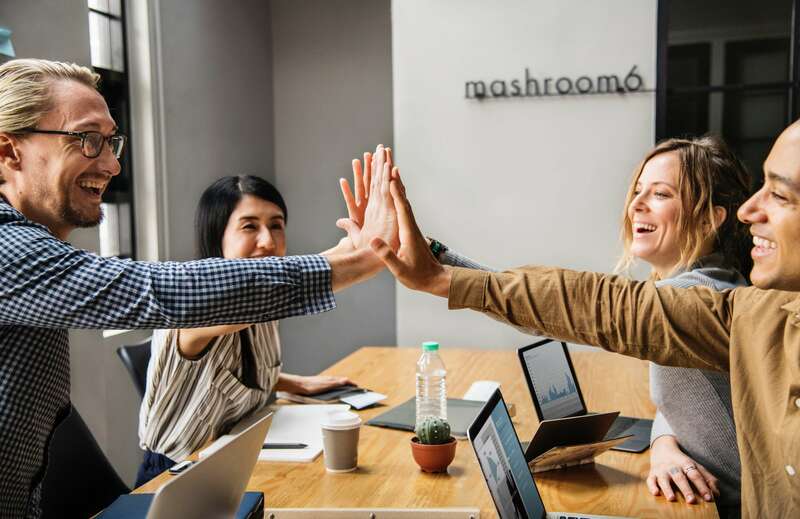 The natural law of small businesses and agencies says, “When interacting, the bigger the number of referrals you have, the greater your client base will be”. So, if your dream about a great number of clients has not yet become a reality, force yourself to get in the habit of asking. Nobody will bite you for that. On the contrary, people like to help others in case there is no negative cost to them. Besides, the worst that could happen is, they say no. Contact people in your network, your friends etc. Ask if they need support or if they can introduce you to anyone. The discoveries turned out to be unexpectedly many – from content creation ideas to techniques for building the reputation. Quora offers a wealth of rare valuable opportunities, working with many of which take only a few minutes a day. Excellent opportunities for learning and obtaining high-quality knowledge first-hand – from users, customers, experts from various industries and industries. You can answer questions about your product from people from all over the world. You can find questions about your product, industry, and many related reasons. But, remember, your answers and questions on Quora should be useful for visitors. As part of your advertising campaign, you cannot simply promote your business, you have to solve someone’s specific problems. Start with your profile settings. Remember, you are the official representative of your business, so you should look presentable. No need to create a dozen of fake accounts. Be true to who you are. Briefly describe what you do (leave the words “guru”, “expert”, and “the best” for morning auto-training in front of the mirror and just a drop a word about the problem you solve, your achievements, or works you’ve written). And don’t forget to leave a clickable link to your website. If you answer in the topics that correspond to certain skills (which do not appear in your profile), they will soon automatically appear in the section “Knows about it”. Spending loans to promote your question, making the question more visible to more people. Just be active. Stay tuned for updates in your topics, vote for the best answers, subscribe to others. The people whose answers you voted for and the people you subscribed to will receive instant notification and can subscribe to you. Look for popular questions, even if they were published a long time ago or contain many answers. People often use Quora to generate ideas and look for lots of different information. When you find a topic with a lot of answers, still give your own answer, even if it says “Last asked: long time ago”. Brevity is the soul of wit. But not every day. Seek to write long answers. We all trust what looks convincing. Short answers make people think you know nothing. The most viewed, popular, and discussed answers have one thing in common — they are detailed and well structured. However, that shouldn’t turn into something like beating about the bush. As you answer questions, you gain expertise and authority. Give the answer to the question, give people value, and your influence will begin to grow. How to give good answers? As soon as you have written your good (and valuable!) answer, add a link to it leading to a quality source that proves or reveals what was said. It is especially useful if you want to leave a link to your blog or website if there are materials covering the topic. Answer questions you have already covered in your blog. Explore topics you are interested in. Get content quickly and easily from Quora users. Provide authoritative support to your customers. Someone will say that outbound marketing is dead. Well, this someone will make a mistake. The reason is simple, outbound marketing is very much alive. The goal is to attract the target audience by providing useful and high-quality content, an incentive to obtain detailed information about your product. The method is popular and successful due to the fact that it takes into account the behavior of the modern consumer, who has learned not to respond to direct calls for a purchase but prefers to study the product and make a decision on its own. Thanks to Google, we all know that some outbound marketing methods are easy to peak out. Calls, internet pop-ups, press releases give an opportunity to sell. Because there is contact with a person, it is an impersonal way of contact. Besides, it will be counter-intuitive to underestimate the power of email marketing (Yes, it isn’t always inbound). According to Godin, it all depends on how your business got the email of a person. For instance, if you bought the email list or used a tricky tool for that, you didn’t get the permission, and, in this case, you are using the outbound method. Spend a bit more time than usual and design an email. 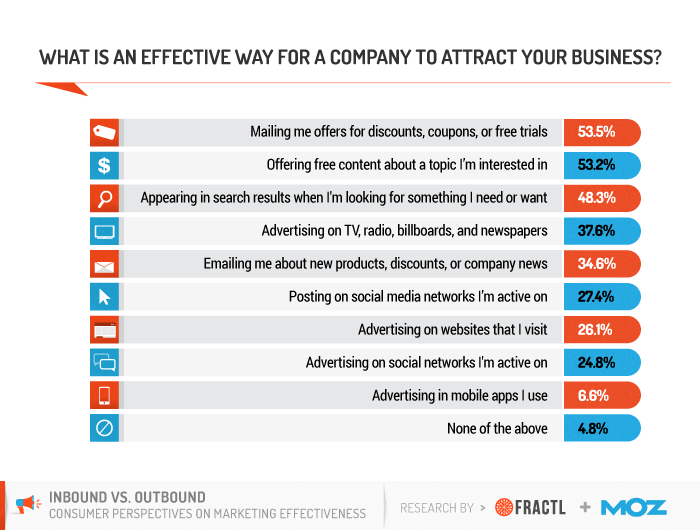 Moz and Fractl conducted a research that indicates that email was the most effective way of attracting for business. Dylan notes, “Utilizing a combination of outbound emailing and linked messaging can be an extremely powerful way to get in front of your target audience”.